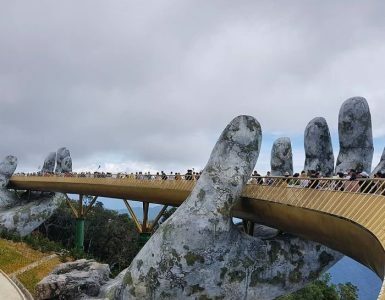 Explore most famous Traditional Villages in Danang – Central Vietnam, namely, Cam Ne Mat, Nam Ô Fish sauce, Tuy Loan Rice Paper, Non Nuoc Marble Mountain. Cẩm Nê Mat Village is only about 16 km to the southwest of Danang Centre which may take you about 40 minutes to arrive. 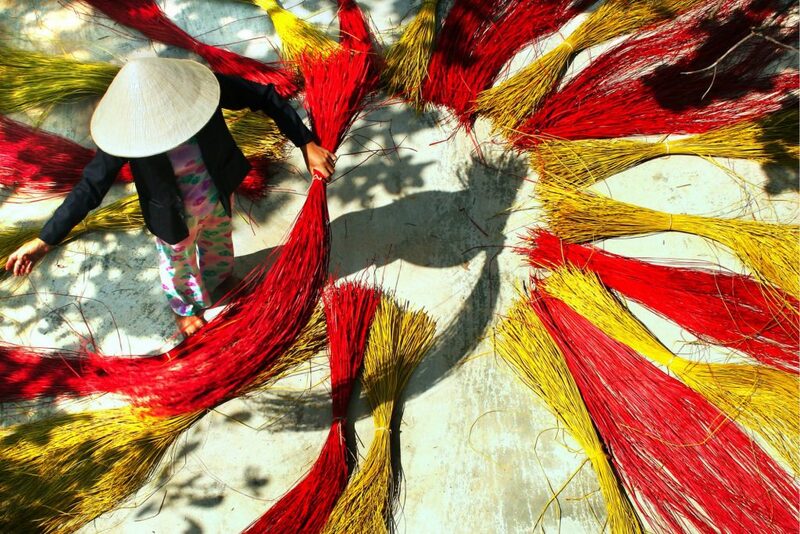 Like its name, Cam Ne Mat village is famous for its handmade mats. The village has a plenty of mat with many different sizes. They have unique ability of dyeing the mat to match with the need of customers. The artist always choose the old palm trees which are straight, lightweight and strong to make reed and shuttle. In order to preserve the traditional village, artisans in Cam Ne help each other to create the high quality products. Established in the early 20th century, Nam O was a small fishing village located at the estuary of Cu Đê River, at the foot of Hai Van Pass. Visiting Nam O, visitors not only see the process of how to make this famous fish sauce but also can buy some bottles of fish sauce home. 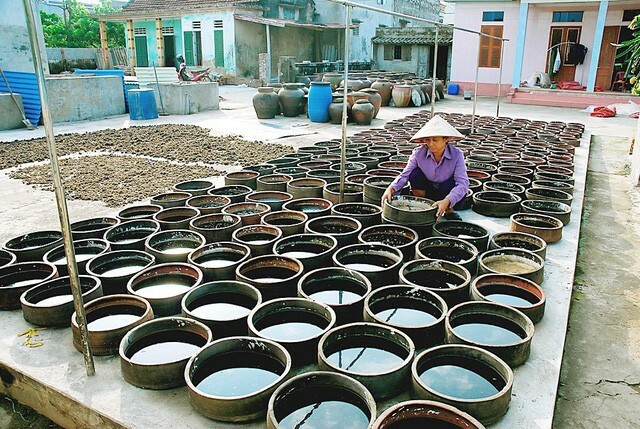 Fish sauce or nước mắm which is called as the soul of Vietnam traditional food, is a dipping sauce which complements most Vietnamese meals to add a saltiness flavor. The main reason why Nam Ô Fish Sauce tastes special is its recipe and named as one of the famous Traditional Villages in Danang. Nam O sauce is only made from long-jawed anchovies, caught in March of lunar calendar with because of its high protein content. The fish must be caught in medium size. Moreover, people here use centuries-old traditional method of slow fermentation in vats made from jackfruit wood kept in a dark, dry, clean and cool place away from the wind to achieve the smoothest, richest, and sweetest flavor. 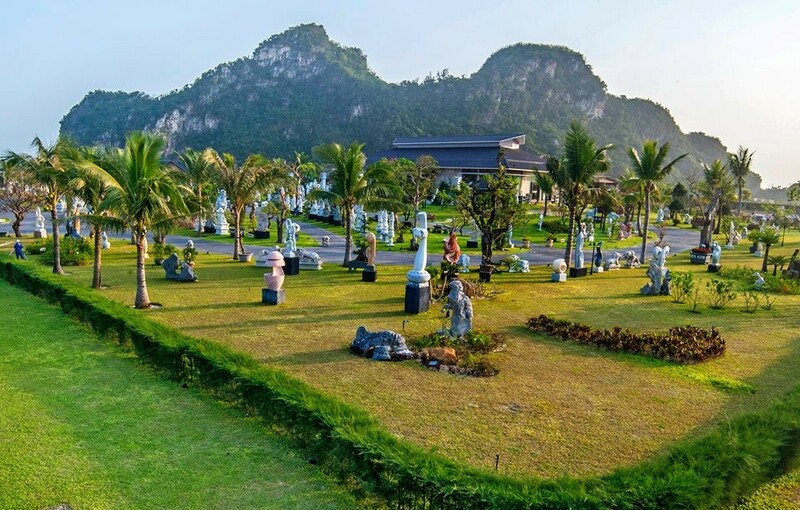 It takes only about 25 minutes by motorbike from the center of Danang City to get to Non Nuoc Stone Carving Village, which is situated at the foot of the Marble Mountains Hoa Hai ward, Ngu Hanh Son District. 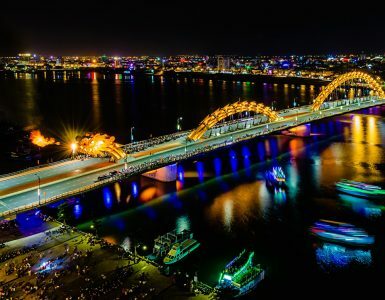 Non Nuoc which has a proud history covering more than 200 years is undoubtedly a “must see” destination in Danang during your visit to our beautiful seaside city. There is a variety of statues of Buddha, national heroes and famous characters in addition of many kind of pretty, delicate and colorful jewelry. These sophisticated items incorporating both traditional and modern motifs are made by skillful hands with the heart of loving art. Tuy Loan Ancient Village is located in Hoa Vang District’s Hoa Phong Commune which is 14 km to the south-west of Da Nang. Many research found that Tuy Loan Village is over 500 years old, bearing the stamp of history, tradition and cultural identity villages of Vietnam. Rice Paper is popular when eating Quang Noodle and other traditional Vietnamese foods. The special ingredient used is delicious scented rice from the winter-spring crop. In order to make it more tasty, various natural spices including dipping sauce, salt, sugar, garlic and sesame are added and mixed together. 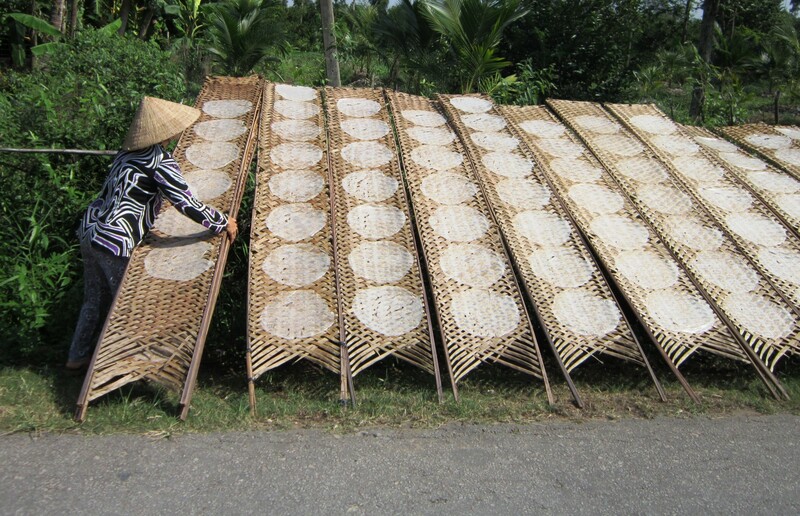 Unlike other place, the rice papers are dried on charcoal fired instead of under the sun in order to prevent any mold. Visiting this ancient 5 centuries village and enjoying delicious My Quang accompanied by Tuy Loan’s rice paper will be your unforgettable experience when travelling to Danang. 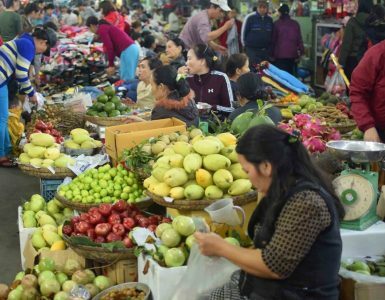 This Tet holidays, beside the famous Traditional villages inDanang, visitors can also visit the famous market in Danang city.